1.) Ana Pascal - "Stranger Than Fiction"
She's tattooed, anti-establishment and she makes one heck of a chocolate chip cookie. She's passionate and stands up for what she believes in. She's not a snob, she gives back to her community, and she wears cool clothes. What's not to love? 2.) 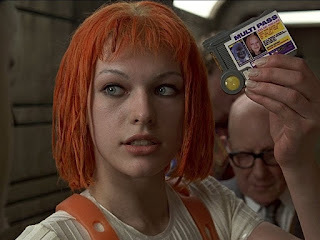 Leeloo - "The Fifth Element"
Orange hair, stronger than an ox, not afraid to eat in front of people and here to save the world. As a character, she's a little naive, a bit oblivious to the way the world works, and disappointed by the state of modern affairs. I like that. 3.) Clementine Kruczynski - "Eternal Sunshine of the Spotless Mind"
Clementine has the art of self-expression down. She has emotion in spades and she's highly spontaneous. Every time I watch this character, I just want to reconnect with all my inspirations. I think we all have a voice inside our heads saying, "You're too old for that!" to everything we really want to do. Clementine makes me want to rebel against that voice. 4.) 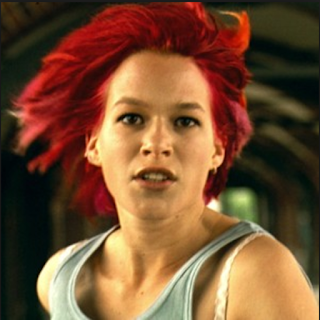 Lola - "Run Lola Run"
5.) 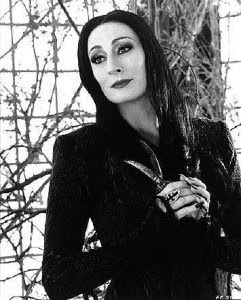 Morticia Addams - "The Addams Family"
She looks like she stepped right off the page of a Gorey drawing, and yet somehow...it works. She is our anti-hero. She is our tough and truthful side incarnate, and yet somehow maternal and loving all at the same time. 6.) 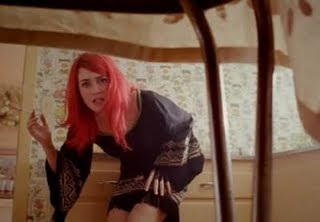 Allison - "Yes Man"
7.) 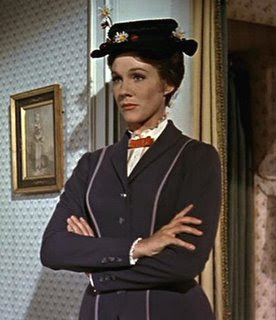 Mary Poppins - "Mary Poppins"
Sure, she seems straight-laced at first. But she flies and makes paintings come to life and magic follows her wherever she goes. What's her motivation? Why does she seem to have two faces? Why won't she let Burt love her? WHY?! 8.) 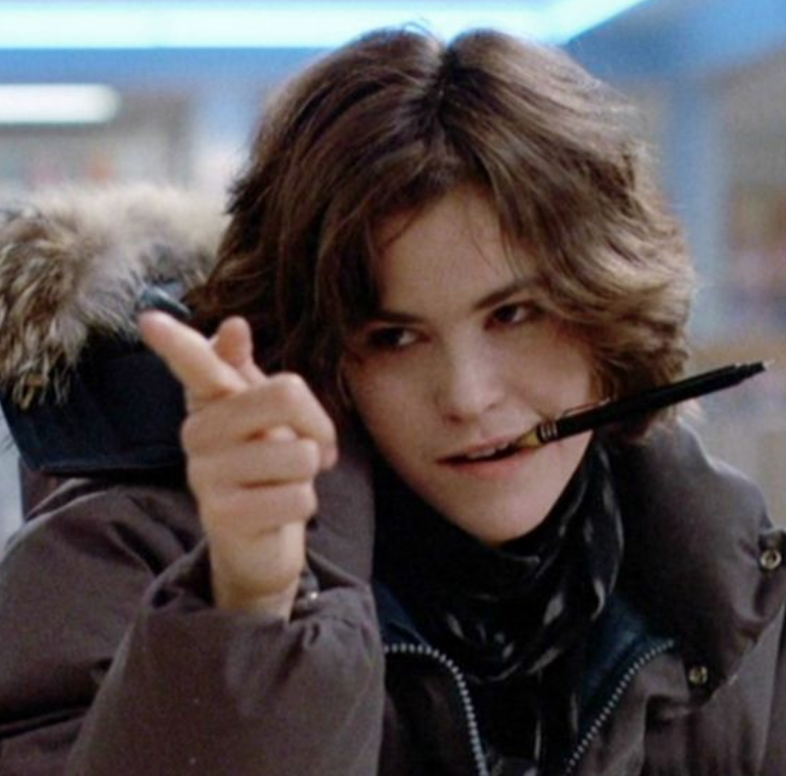 Allison Reynolds - "The Breakfast Club"
This is not weird in a cute way, in an attractive way, or in a "throw glasses on her and we'll call her a nerd" way. She showers her dandruff on her sketches and eats weird food and speaks in squeaks. This is genuine weirdness at it's concentrated best. But ah, she has mystery. Mystery to spare. 9.) 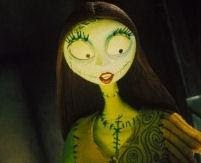 Sally - "The Nightmare Before Christmas"
Like the rest of our leading ladies, Sally is smart. So smart that she sees everything coming long before anyone else does. This creates a very lonely life for Sally as she waits for everyone else to catch up. Then there's the metaphor of "falling to pieces" and feeling, literally in her case, like she's never whole or complete. Who can relate...anyone, anyone? 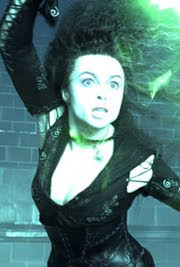 You know, Helena Bonham Carter herself could count, but since we're talking fictional characters here, I figured Bellatrix was a natural choice. Sure, she's pure evil. But sometimes evil on film is far more interesting than good. More complex, more stylized, more...everything. 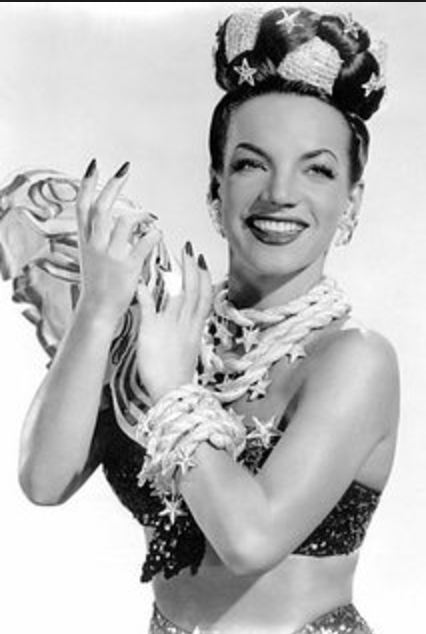 Carmen Miranda was a one-of-a-kind, so unique that she never really had to play a character. She just showed up on film as herself, the living breathing spirit of Brazil. Everything she did would've sounded like a bad idea if she would've told it to you without you being able to see it. "I'm going to put fruit all over my head and mug like crazy and dance and sing and wear the biggest false eyelashes you've ever seen, okay?" But it wasn't crazy, it was genius and it makes one wonder, what if we all followed those bizarre inclinations? 12.) Catwoman - "Batman Returns"
Catwoman is a political activist, a thief, and she's "mad as hell and she's not gonna take it anymore!" She turned the very idea of the crazy cat lady on its ear, making a female stereotype into a symbol of power and control. 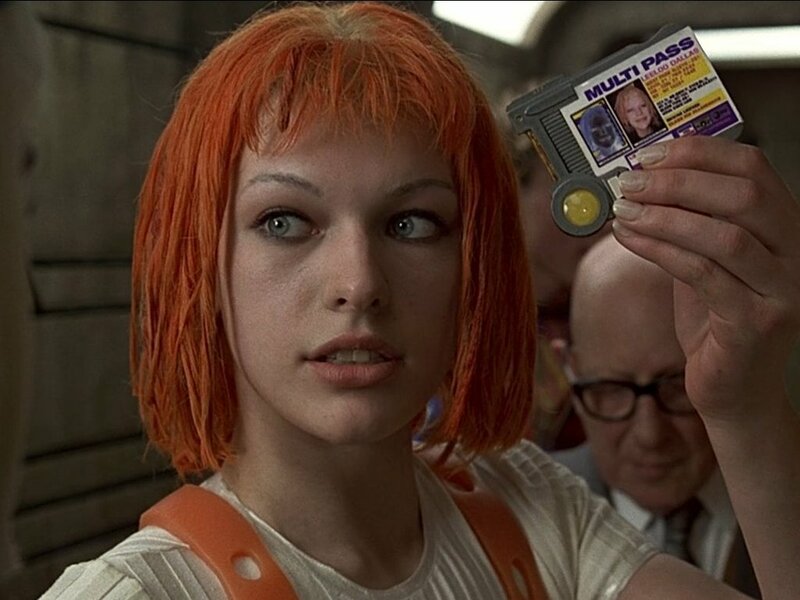 And let's face it, you have to be pretty weird to follow through with a plan like that, anything that involves a costume and an alias scores extra points for strangeness. 13.) Mary Catherine Gallagher - "Superstar"
I don't care what you say, she counts. 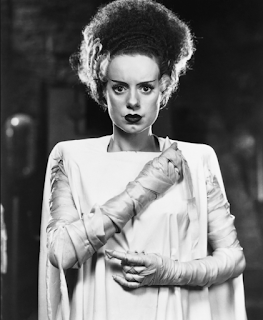 She may be one of the strangest and most endearing characters to ever get her own movie. She's the lowest of the low on the nerd totem pole and everyone went to school with their very own version of Mary Catherine, so don't pretend like you don't "get it". Or maybe some of us were a Mary...either way, she flies in the face of adversity, politeness, and all acceptable social conventions because deep down in her weird little heart, she know, KNOWS, that she can reach her goals. So remember this, it's usually the weird ones who go on to accomplish great things in life. 14.) 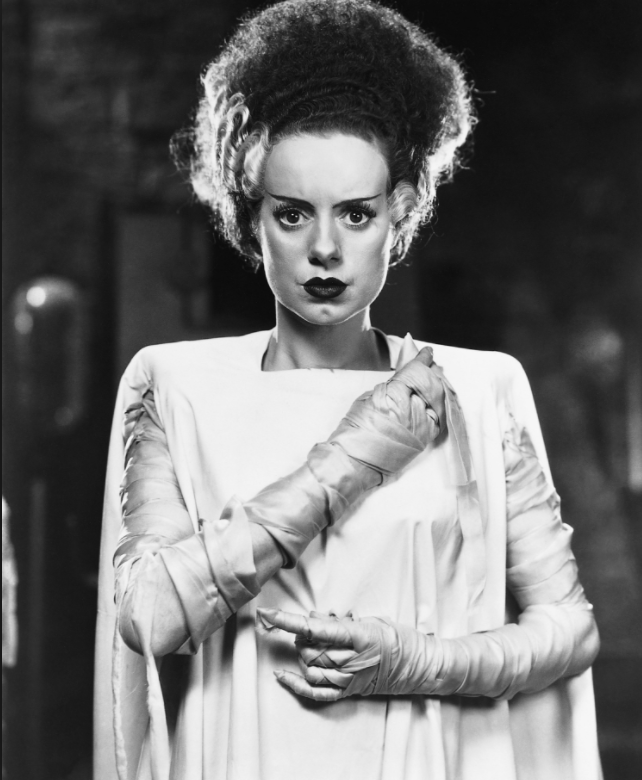 "The Bride of Frankenstein"
She lives! She has amazing hair. She hisses with flair...I'm bad at listicles, aren't I? 15.) Dori from, "Finding Nemo"
"Just keep swimming." 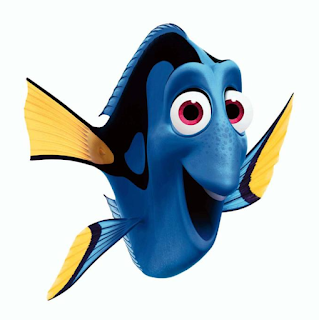 Dori has the perfect life philosophy, great foreign language skills, excellent coping mechanisms and a resilient personality. So there you have them, my Top 15 Unconventional Leading Ladies of Film. All unique in their own special ways, all strong, funny, talented, and usually misunderstood. So the next time you wish you could just fit in, remember, ordinary women don't make history. *P.S. This is a no-brainer, but I want to state for the record that I don't own any of the clips or images used in this blog. In fact, if you don't own any of the films mentioned here, I encourage you to go out and rent or buy them!